I had always associated home canning with, I don’t know, kitting and reading books and hot toddies and general coziness. This is not the case at all. Agata and I are both city kids and when we had a big plot of bare earth we got really excited about tomatoes. Now we have a so. many. tomatoes. Canning feels like being in a submarine, or maybe a tank, and you’re at war. The air gets thick and hot and wet, and everyone has to yell to be heard over the huge pots of boiling water. There’s a lot of rushing around and hot water burns and bumping into each other, and it all feels deeply badass. 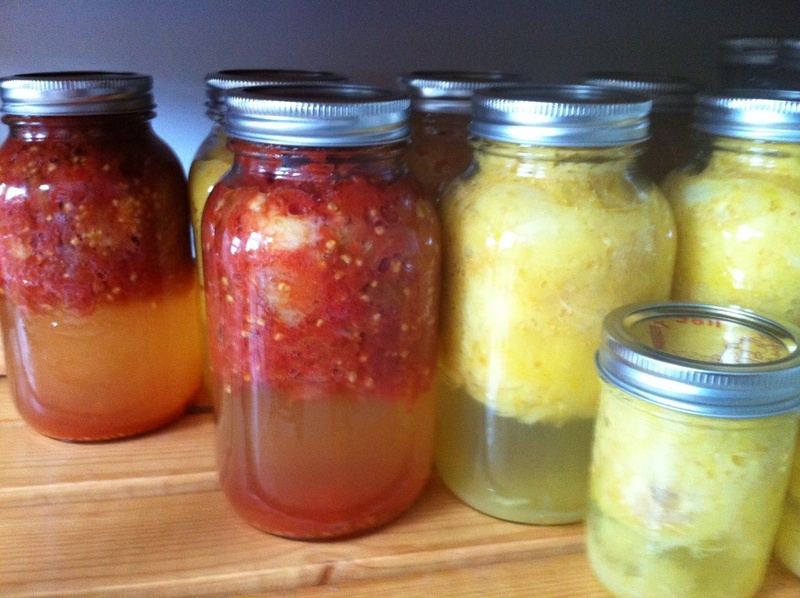 For the record, for anyone who hasn’t seen the blog Food In Jars, its pretty hot.